If you leave home in wintertime and wake up with a shinning sun, heat, and a tropical dawn overlooking Copacabana Beach it’s everything you need for a perfect moment . One of the most famous beach, movie icons is a priceless view. The MSC Opera from Msc Cruises floats gently in the distance, in the middle of a spectacular morning light. I closed my eyes and breathed. Not a breakfast with diamonds was waiting but a real breakfast in the glamorous Sofitel Rio de Janeiro Hotel. I served myself a glass of champagne and a plate of tropical fruit. The day could not start in a better way. Gambling with “danger”, I decided to walk with alone along Copacabana, enjoying with everything I saw. 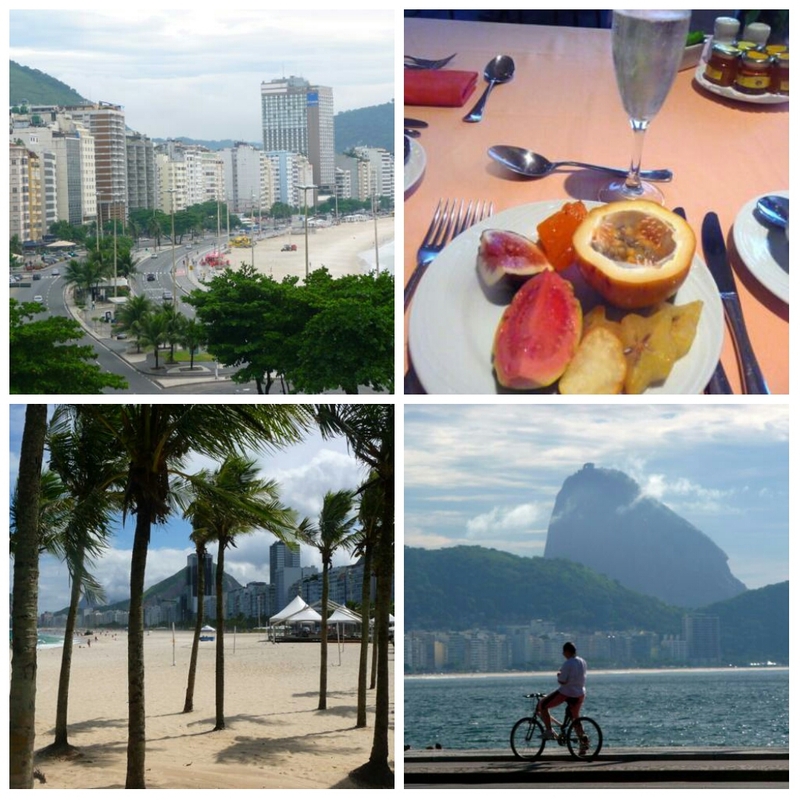 Avenida Atlantica, along Copacabana beach, but somewhat decadent, embodies the soul of Rio as anyone. It is here, where we can feel the true heartbeat of the Cariocas, who are in an overwhelming and continuous body trainning. You have to look nice; see and be seen. Walk to and fro with an ever emerald sea as a background. Other beach areas have been gaining more reputation than Copacabana: for example Barra do Tijuca, Sao Corrado, Leme, Ipanema and Leblon. But Copacabana is the “one”. In any case, everywhere you look at, there’s an intense festival of nature and aquatic wonders. The people of Rio call it “cidade maravilhosa (wonderful city).True. The inhabitants are a little bit exaggerated, with the slogan of the city, but as soon you look around, we get to the conclusion that God has made it easy for them. A sublime creation that moves the travelers at the first sight. 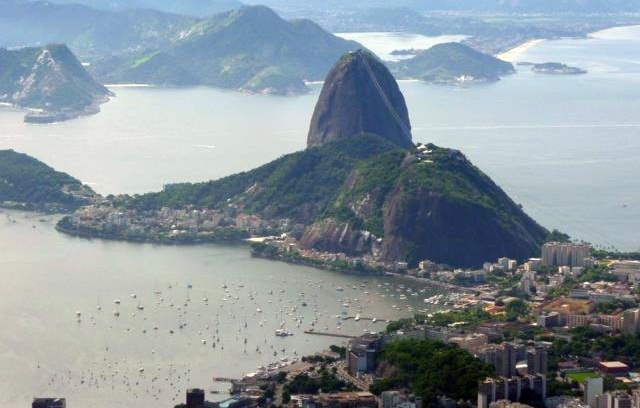 Olympic venue, vibrant fashionable capital of South America, Rio de Janeiro is experiencing a new renaissance, not only due to the meteoric rise of the economy, but the efforts to make the city, a relevant and chic tourist destination. And it’s safer day by day. The city lives in a perpetual summer. The name means “january river” when the ship of Portuguese navigator Gaspar de Lemos arrived by chance, to Guanabara Bay on New Year 1502. The visual spectacle was so beautiful, and the bay so big, that they thought to be sailing up a huge river. In 1565 the city was founded with the name of Sao Sebastào, and in 1763 acquired the title of “capital of Brazil”, until 1960, when the goverment decided to find a more central position for a new capital, more convenient for all citizens. Brasilia was founded but with the conviction that the universal historical capital, was going to keep on representing the idiosyncrasies of this vast country. Despite the rivalry with Sao Paulo, it’s the essence of the country. In a wild tropical environment, there is a perpertual struggle between forest, nature and concrete mixed harmoniously in every inch. When nature is not contained, it invades back every corner that civilization has been occupying. Nature, sea, islands, mountains, and “Morros” (hills) spread irregularly all over, but without mixing. There’s a clear division and stratification of society, and all are joined by dozens of tunnels and avenues…and height. The higher you live, the poor you are. The best way to visit Rio is by car. Locals are the best way to fight with traffic. Local buses may be bothersome. Miguel made a really good job for me. The former colonial town has disappeared. 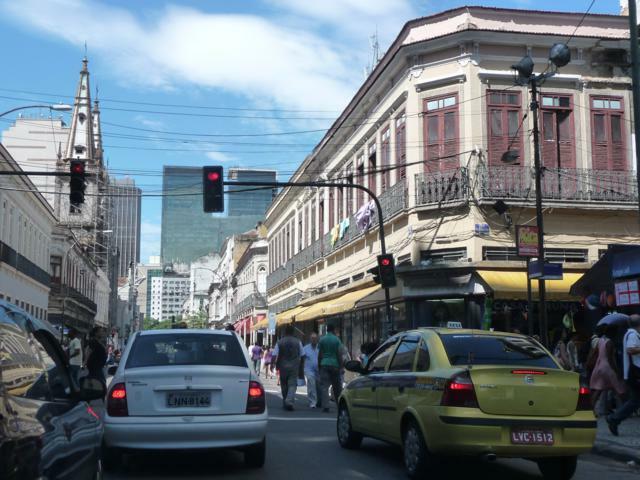 But we can find charming places like the quarter around Cinelandia, Floriano Square; a kind of a local Times Square, significant buildings like the Municipal Theatre, or the area of ​​ Larga Carioca Street, Tiradentes Square and the old Imperial Palace. From the old buildings which still remain, the Convent of San Bento dating from the seventeenth century, is perhaps the most prominent historical jewel of old Rio de Janeiro. There a monumental struggle between the two cathedrals. At the beginning of Avenida Presidente Vargas we have the opulent Basilica of Candelaria, which many people consider the real cathedral. A bit further the modern Sao Sebastiao, which some call infamously the “nuclear power station” whose design has never convince the cariocas, despite of being an impressive modern architecture building. I love the bright giant windows. 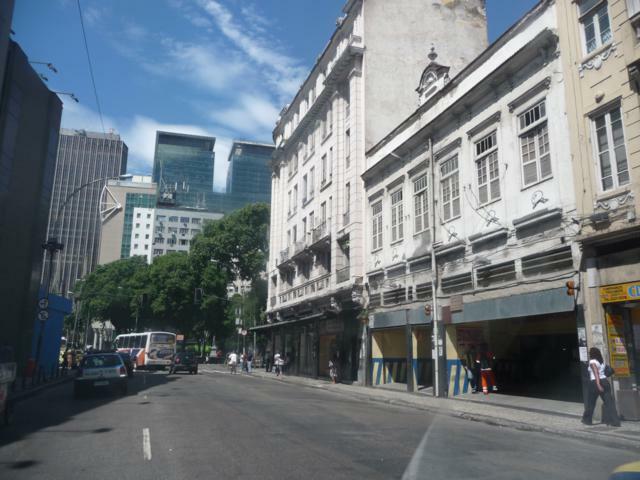 It is hidden anonymously, between the famous building of Petrobras, and the Lapa Arch. On top of it it runs a little train (from the Carioca Railway, behind the aforementioned building), connecting the center with the bohemian neighborhood of Santa Teresa, where we can find some of the most beautiful nineteenth century manor houses . Formerly a slum, there has been massive restoration works to make it the most posh and bustling quarter of Rio. 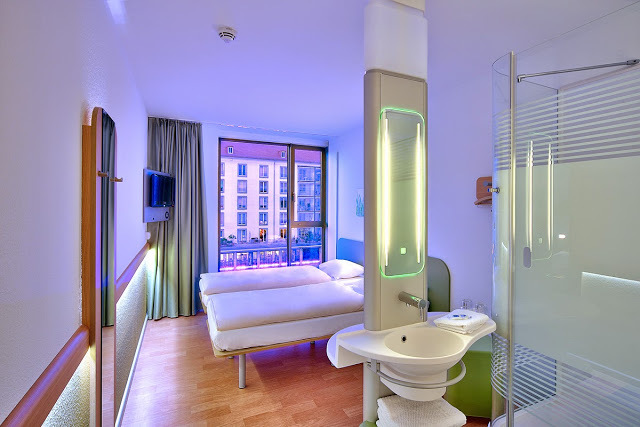 The perfect place if you are looking for an expensive but charming boutique hotel. Rio is an aerial place. Let’s go up like God sees it. There are two key viewing sights, which makes one feel breathless. O Pao de Azucar, south of downtown, between Botafogo Bay, and the famous Copacabana, has been offering the best views with its cable car since 1912. We will first climb to the Morro da Urca, and then change to another cable car up to Pao de Azucar. the view?. There are not words which could describe it. I highly recommend the night visit, especially when tropical storms begin to illuminate the skies of the city. 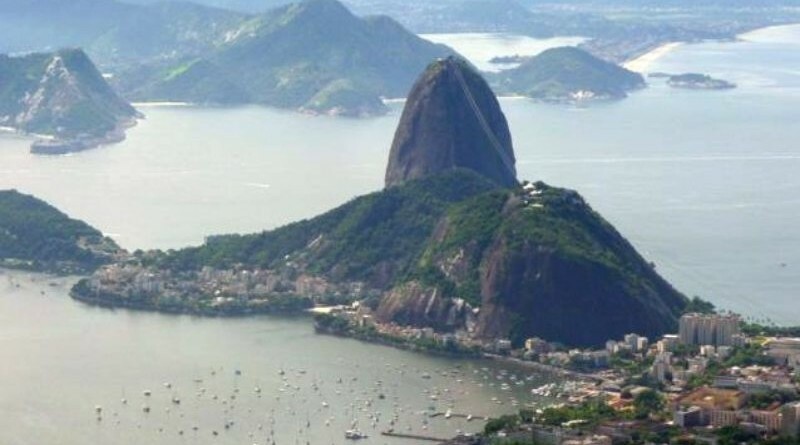 The highest point is the Corcovado, the global icon of tourism, with the 38 meters tall statue of Christ the Redeemer, as absolute guardian of the city, since 1931 opening its arms to visitors and sheltering the bay. Just look around; the view is a natural stravaganza. Such a stunning landscape justifies a trip. To get up there, we can use the Bondihno, a kind of small train from Cosme Velho, behind the beautiful urban lagoon of Lagoa de Freitas, to the base of the statue. We should also mention that the weather does not always allow us to have a good view; even if you are on a budget I strongly recommend helicopter ride. It provide views that one will never forget. Perhaps one of the most exciting and overwhelming experience that any traveler may have.